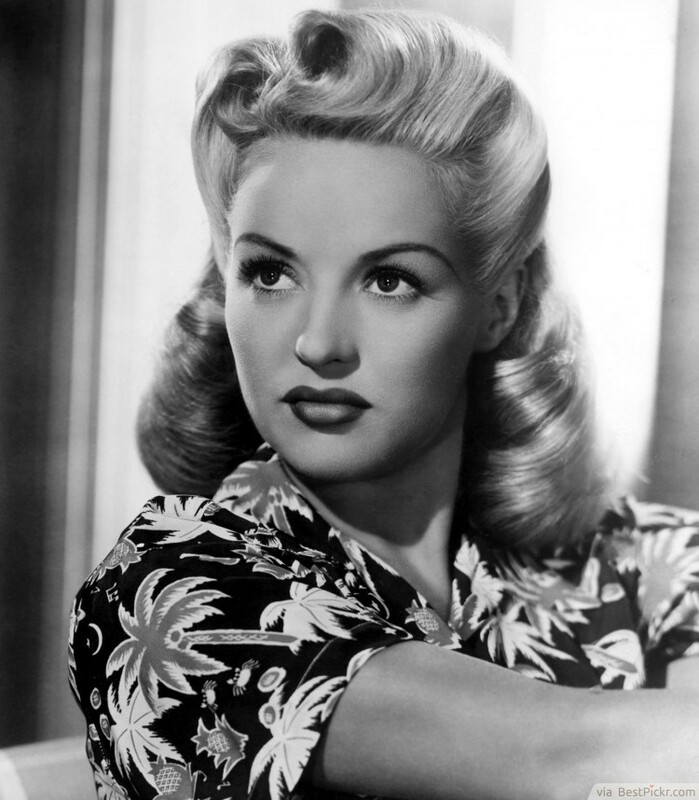 Betty Grable was the most famous Hollywood icon of the forties and the number one pinup girl of WWII. She set trends like the victory rolls hairstyle which is still an amazing vintage style today. Part the top of the hair into two sections and tease them. Then wind the hair around your fingers to form a loop and roll it inwards towards the parting. Spread it out to form a roll and secure it with bobby pins.